Soccer in America might not be as popular a sport as in the rest of the world, but the US has caught on to the hype. It wasn’t long ago that the World Cup was hosted on American shores, and as a sign of the growing popularity of the sport in the country, it’s coming back. The US, along with Mexico and Canada will host the 2026 FIFA World Cup tournament. This is good news for soccer betting fanatics, as they will get to see the sport’s biggest stars fight it out while they bet to win real money. Find out where you can bet on sports online legally in America in our soccer betting guide. Soccer betting is not foreign to the rest of the other sports betting disciplines. To the contrary, it uses the same betting lines and way more betting options than other sporting codes. Before you bet on your favorite Major League Soccer (MLS) team, you first need to know how to bet on soccer. Follow our step-by-step guide for beginners as well as experienced players to refresh your knowledge. Step 1 – Punters will have to sign up at a legit online sports betting sites for USA players. Any of our most trusted sites on the list will do. Pick a bookmaker that offers players rewards with a generous bonus when they register on the website. Step 2 – You need to deposit the funds into your casino account. Most of the casinos that accept US players accept USD$. Step 3 – US players need to choose the competition that they want to wager on. The list is quite extensive, featuring domestic and international competitions. This includes league and cup competitions that a team may be competing for. Step 4 – Once you’ve chosen the country and the competition you want to bet on, the next step is to identify the team with the best odds of winning. These odds will be displayed using Moneyline odds format, in which the favourites will be denoted with a positive (+) symbol while the underdogs will have a negative (-) sign. Step 5 – All soccer bets predictions have to be sensitive to the competition being wagered on. Knockout competitions for instance have extra time and if there is no winner after 90 minutes. That means that the result is a draw. Match outcome – players bet on the team to win, either the home team or the away team. There is also the option of selecting a draw. Handicap betting – Similarly to the match result, online bookies set odds on the number of goals that will be in the game. The favourites will have a negative handicap to surmount, while the advantage is handed to the underdog team. Totals betting – This soccer bet prioritise the number of goals in the match and not the Punter wager on whether the amount of goals is going to be over or under a certain threshold. Do not bet on soccer games online based on the team you support. The favourites will not have a high payout. Therefore, try wagering on handicap and totals. Do not bet on too many teams on a single ticket. Rather separate the tickets betting using the minimum bet. Set a predetermined budget that you will stick to and don’t get carried away. Always leave room for disappointments. Even though a team might be favourites, there is a 50/50 chance that things can go either way. The country has been experiencing a soccer resurgence and that has trickled into the popularity of sports betting. 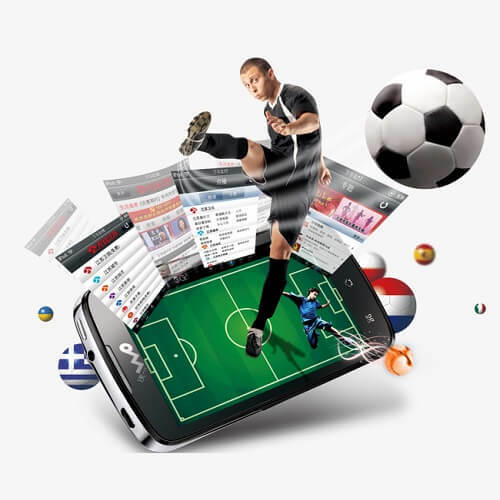 More than ever, player’s now bet on soccer in USA online and win massive cash prizes. The sport has been steadily growing throughout the years and shows no signs of stopping. Head over to any of our top picks of betting websites and sign up to win.